BeagleBone Blue will be familiar to anyone who has used a BeagleBone Black, but offers some new functionality in order to target robotics and machine control. It provides a fully open source, real-time embedded Linux platform in a small footprint. 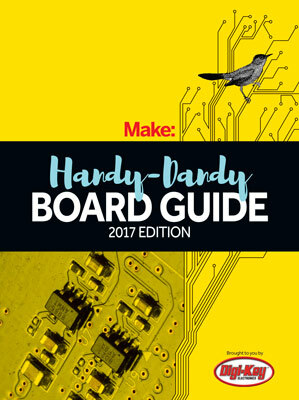 The board has a wide array of possibilities for sensors and connectors, including support for LiPo, Wi-Fi and Bluetooth, 6V servo and DC motor outputs, along with four encoder inputs. It also has a built-in IMU and barometer, and there is USB 2.0 for client and host. On the user interface side you will find programmable LEDs and buttons. Possibilities for expansion are endless, including headers for motors, i2C and SPI busses, and more.